FRANKFURT -- Volkswagen said today it had uncovered "inconsistencies" when determining carbon dioxide emission levels which could affect about 800,000 cars. VW said the financial risks stemming from the finding is about 2 billion euros ($2.2 billion). The risks may come from compensation claims from consumers who say they bought their car under false pretenses and from possible affects from CO2-based taxation regimes, a VW spokesman told Automotive News Europe. The models affected are VW, Seat and Skoda vehicles that use 1.4-, 1.6- and 2.0-liter diesels built in 2012 and later. These so far include VW Golf, Polo, Passat, Audi A1 and A3, Seat Ibiza and Skoda Octavia models. VW's 1.4-liter ACT gasoline engine in the Polo that has cylinder on demand technology is also affected. The fuel efficiency deviations were in some cases between 10 percent to 15 percent, the spokesman said. The issue of potentially false CO2 levels mainly affects Europe, the biggest market for diesel cars, where a model's carbon emissions are always communicated to consumers. Such practices are not as common in markets such as the U.S. where often only fuel efficiency and mileage are provided. Nevertheless the VW spokesman could not rule out that the U.S. could be affected. "VW's top management will immediately start a dialogue with responsible authorities regarding the consequences of these findings," the carmaker said in the statement today. "This should lead to a reliable assessment of the legal, and the subsequent economic consequences of this not yet fully explained issue." The VW spokesman said a recall is not needed because the issue is not a technical problem. The company has not yet decided whether it needs to set aside the full 2 billion euros as a provision since it is still too early and the estimate is very rough. VW said the revelations surfaced following an investigation into possible further irregularities after the company admitted in September that up to 11 million diesel engines sold globally were fitted with "cheat" software. VW said the latest finding is unrelated to U.S. regulators' allegations on Monday that larger, 3.0-liter diesel engines mostly used in Porsche and Audi SUVs were designed to cheat emissions tests, an allegation that VW denies. "From the very start I have pushed hard for the relentless and comprehensive clarification of events," VW CEO Matthias Mueller said in the statement. "We will stop at nothing and nobody. This is a painful process but it is our only alternative." 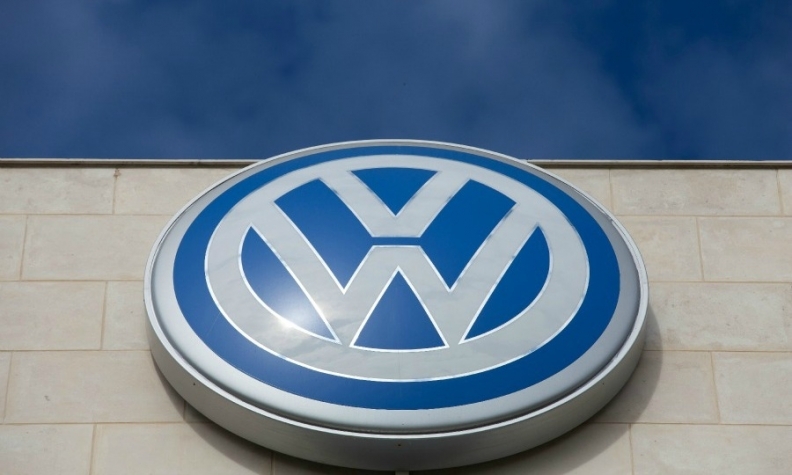 VW had previously admitted to installing cheat software in 2.0-liter diesel engines. But the latest allegations from U.S. regulators and the automaker itself suggest that both larger and smaller engines and even non-diesel ones may have deceived regulators. "VW is leaving us all speechless," said Arndt Ellinghorst of banking advisory firm Evercore ISI. "It seems to us that this is another issue triggered by VW's internal investigation and potentially related to Europe."